Another project for 2018. 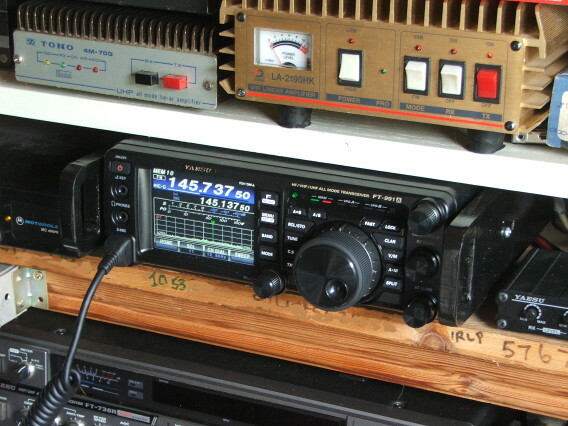 The idea of rack handles on the clubs radios has always appealed to me since we stared using the Icom 7200 which came with them. I find it offers a degree of protection to the controls of the radio. You can now buy some after market handles but with a price tag of 50 plus, monies better spent on the transverter interface, as handles can bet fashioned out of many types of scrap materiel. 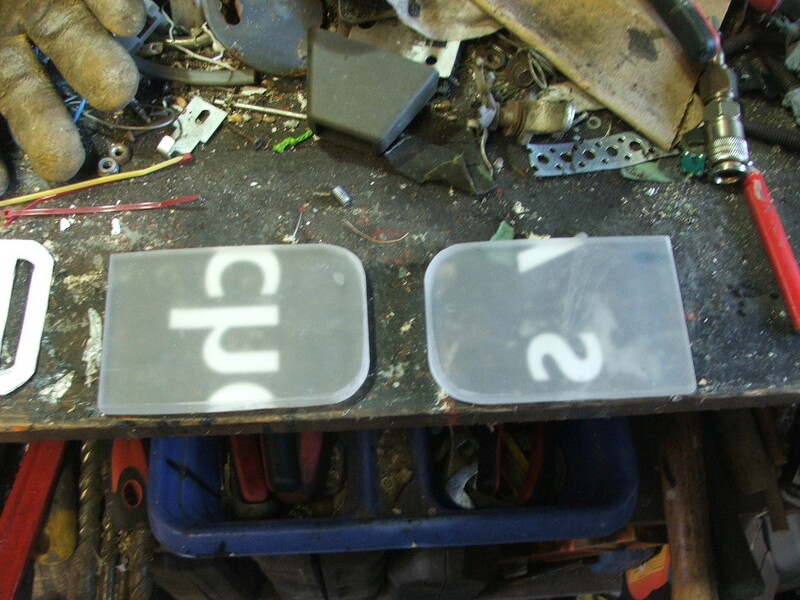 I had in the store (scrap pile) some perspex from shop signs. 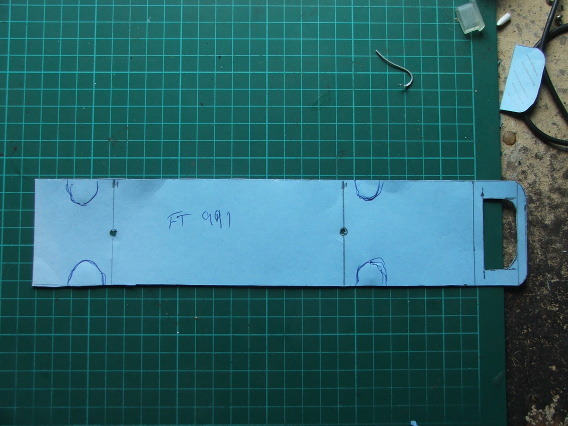 A template was made and blanks were cut from the material. I used paper for the template but found it was thin and heavy card would be a better option. They were then cut out. 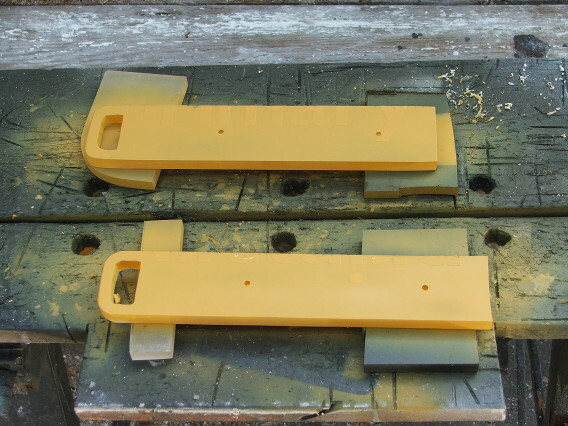 The holes drilled out to fit in the radios drilling’s and the blanks test fitted to the radio. I drilled three holes but two were only necessary as there are only two on the right hand side. 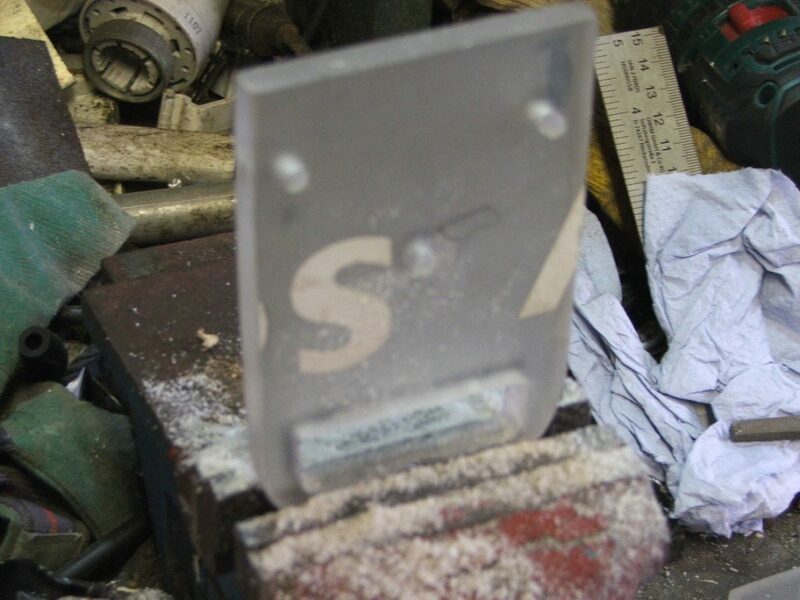 The d shape was milled out by drilling, filing and arm ache. Finally after rubbing down with some wet and dry paper to give a key for the paint. A quick spray with some satin black the handles are complete. Total cost a couple of euro for the satin black paint. Again the same idea but different, rack handle protection for the 991. 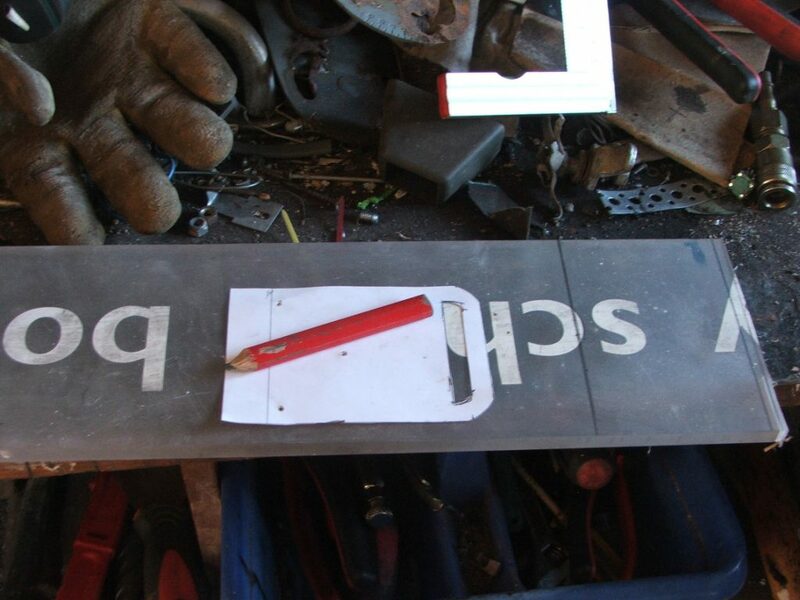 First up was to create a template for the handle. Best option was to use the mobile mounting bracket to attach fixings. This design was then cut out in perspex. This time i decided to use some hammer blow black for the final finish. Some was already in stock on the shelf. 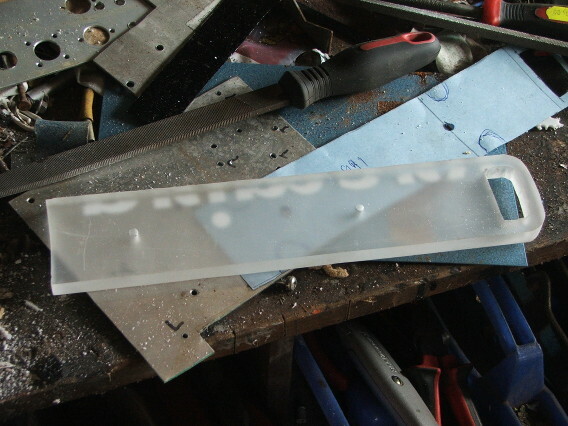 The perspex was first painted in plastic etch primer. 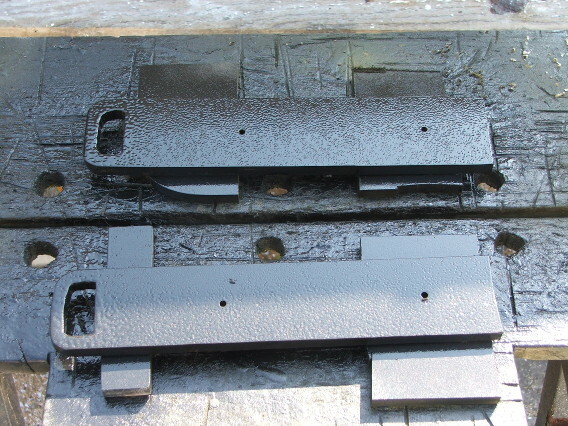 The ft 991’s fitted carry handle hand to be removed so these could be fitted. 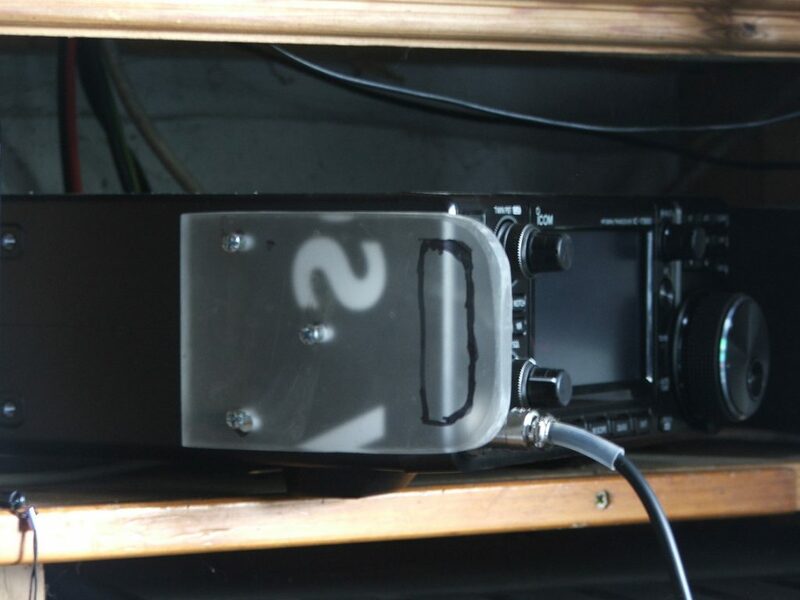 Some rubber stick on pads were fitted to stop marking the radio. 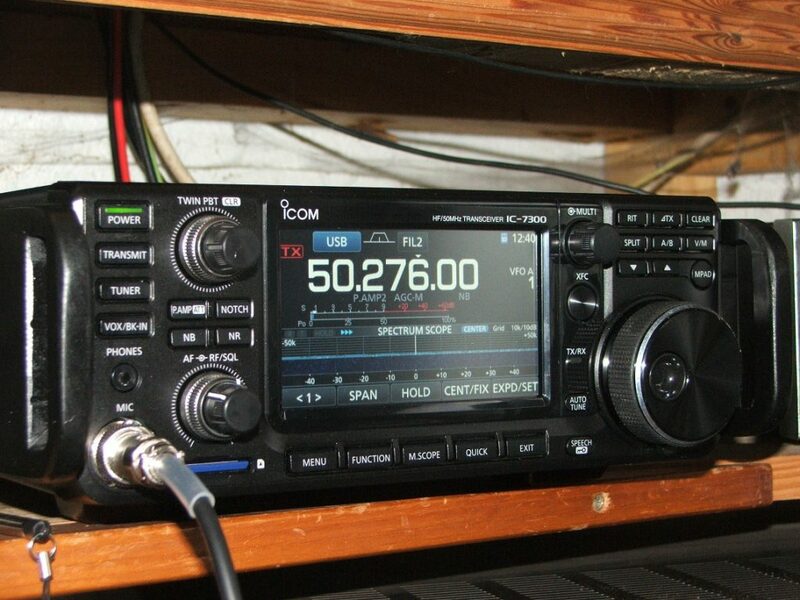 This leave it easy to move the radio as this radio has a healthy output on 70cm’s making it useful for /p work. 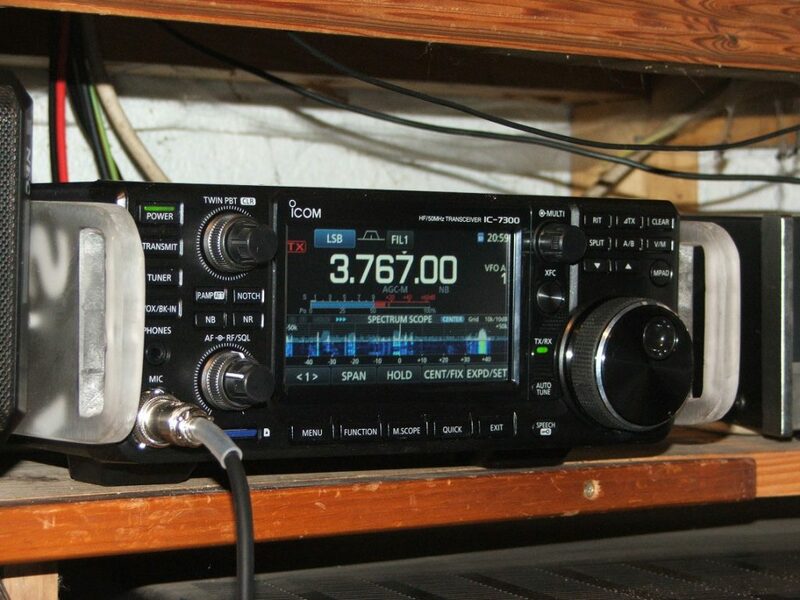 Also added protection as with the IC7300.